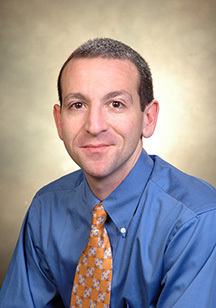 From the November 2013 Desktop News | Dr. Josh Rothman, a professor in the Department of History and the director of the Frances Summersell Center for the Study of the South, was recently honored with two awards for his book, Flush Times and Fever Dreams: A Story of Capitalism and Slavery in the Age of Jackson. The work won the Gulf South Historical Association’s Michael V.R. Thomason Book Award for the best book on the history of the Gulf South. The Gulf South Historical Association is a consortium of Gulf South colleges and universities that works to preserve and promote the history and the cultures of the Gulf South within state, regional, national, and international contexts through exchange of scholarly research. The book was also honored with the Southern Historical Association’s Frank L. and Harriet C. Owsley Award for the best book in southern history published in 2012. The Southern Historical Association works to promote interest and research in southern history, the collection and preservation of the South’s historical records, and the encouragement of state and local historical societies in the South. Rothman’s book discusses slavery and related violence in the pre-Civil War South. The book hinges on the story of Virgil Stewart and his conspiracy theory pamphlet, which proposed that a petty criminal from West Tennessee named John Murrell was planning to launch the largest slave rebellion the South had ever seen. Rothman says the pamphlet became a catalyst for violence throughout the region.